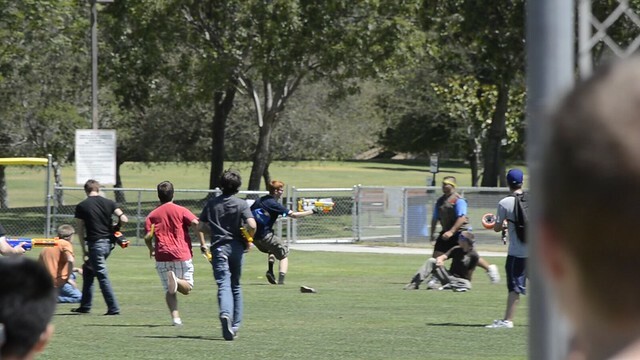 Is this page, you’ll find content such as photos, videos, and blaster tips related to HvZ, including my own adventures in the Southern California Camarillo games. Page is still in construction. Youtube channel of Shining Foam aka HvZAuburn. GoPro First Person view of his games, his games are based in Auburn University, Alabama. Are there any events like hvz in the state of Mississippi? I have like 3 freinds that are into nerf and I’d like to be in an envent like this. It seems like a lout of fun! Well I’m not too familiar with the Mississippi Nerf scene, try checking the official wiki list for college games to see if any are near you. I’d like to join u guys in your next nerf battle. I might be able to help set one up for you. You sound like a young person, so get an adult to email me. My contact information can be found at the top of the site.